Our city is full with impressive places to visit. We aready told you about the Euxinograd palace, about the Aladzha Monastery and now it is time for a natural phenomenon. 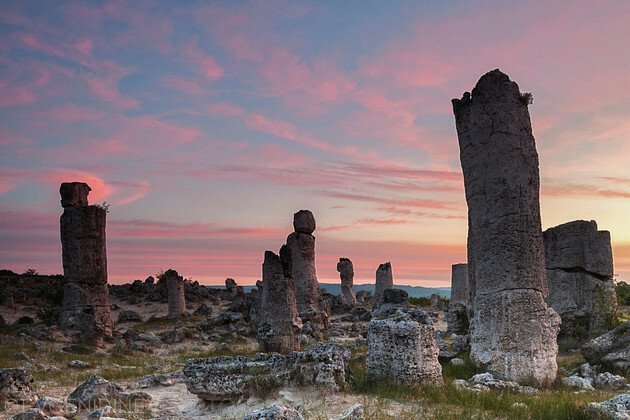 Near Varna coastal lakes, 18 km west of the city, is located one of the most spectacular phenomena in the world - the “Stone Forest”. It’s also known by the name "Dikilitash” or “Pobiti kamani”. 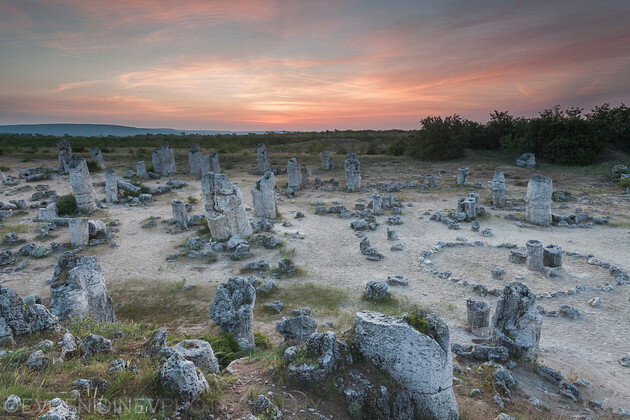 We are sure you know the famous Stonehenge, well Pobiti Kamani is the Bulgarian version. This landmark is unique not only for Bulgaria but for the whole Europe. 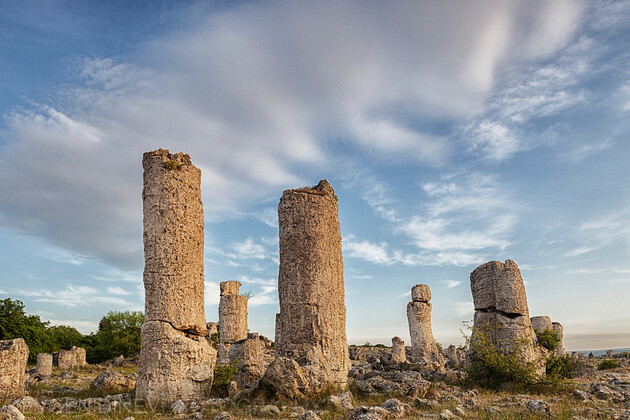 It is consisted of cylindrical rock pillars that reach height of 5-6 m, and the thickness varies from 0.5 to 2.5 m. Columns are constructed of limestone formations containing many fossils - nummulites , mussels, snails and others. Sands and scanty vegetation give the area desert nature. There are multiple hypotheses that try to find phenomenon’s origin. It is estimated that some 50 million years ago, these lands were a part of seabed, then the water withdrew, the region dried out and erosion began. Under the influence of internal forces of the Earth, limestone cracked and the rainfalls gradually dissolved the surface of these calcareous rocks. Other scholars defend the view that they have an organic origin and are formed by underwater coral reefs. Many of the rocks have fantastic shapes of animals, birds and human figures. This is the first Bulgarian area officially declared a natural landmark in 1937 and it’s part of Natura 2000. 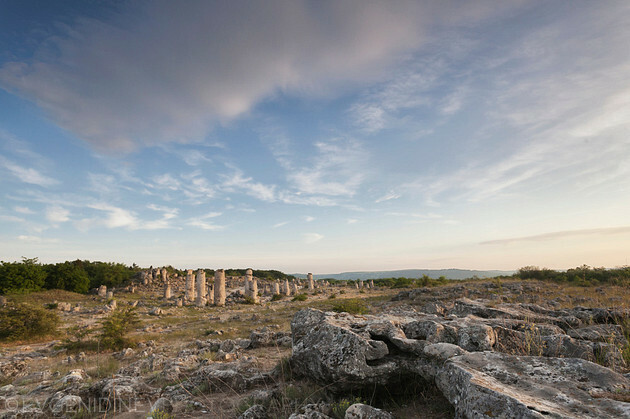 “Pobiti Kamani” spreads on total area around 253 hectares and combines seven major groups. The most famous and attractive ensemble is the “Dikilitash Group”. Visitors can also be impressed by the “Strashimirovska Group” which is near the village of Strashimirovo. It consists of four closely situated rock clusters containing structures with various sizes and shapes. The groups “Slanchevo” and “Banovo” are situated in the localities of the villages with the same names, and also have their own charm. One of the stone structures looks like a frozen fountain. A stone lion with basis diameter of 12 meters is lying in close proximity. If you have good imagination, you can liken the stones to a throne, guards, camel and others. The rest of the groups are situated around the town of Beloslav and are also worth seeing. Besides the natural phenomenon of the stones the area around it is protected by law, because of its diversity and unique plants and wildlife. The “Stone Forest” is the only habitat in Bulgaria of the plant “Hard sandwort” (Arenaria rigida). The species was declared endangered and is under the protection of the law worldwide. 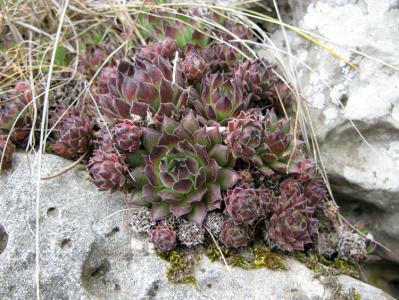 In the area of the natural landmark 4 more endangered and protected species of plants in Bulgaria are preserved. Ornithologists state that near the nature reserve over 110 species of rare birds can be found. Мany years ago when the sea was getting here, near this place was situated a small village, where a handsome young man used to live. Once God revealed his name to the young man and made him vow to keep this secret forever. In return God gave him immortality. God warned the man that if he breaks his promise he will become mortal again. One day, walking on the beach, the young man saw a beautiful girl and instantly fell in love with her. Soon afterwards he found out that his beloved beauty was supposed to marry the leader of the sea giants. Love gave him the courage to face the Titans. Marine master decided to cede his girl only if the boy told him the name of God. The boy decided to sacrifice his immortality in the name of love. He went to the sea at sunrise and arranged along the master and the Titans in a way that their bodies inscribed the name of God. God watched everything from above, outraged he decided to punish the Titans. With the first rays of the sun, they turned into stone. The young man went along to find his sweetheart. According to the legend once the couple met underfoot miraculous spring gushed. for students – 2 leva. The price of a guided tour is included in the admission fee. The site is access free. Upon a preliminary request, a tour guide can walk you around and conduct a lecture. We recommend you to visit the place at sunset hours, because the weather is perfect for a relaxing walk trough the silent nature. The view of the near sea, sunset beauty and the desolation help you to make perfect connection with the place. - by public transport: Take bus number 43 from central bus station in Varna and get off the bus on the last station. There is the village Slunchevo and then you need to hike 1 km trail. Cost of the bust ticket is 2 leva. 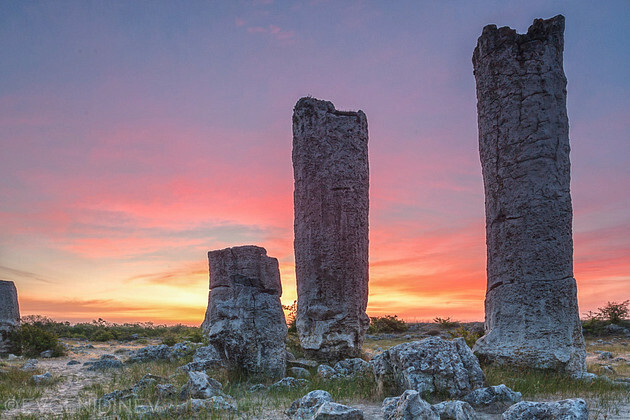 - by train: You can take a train from Central railway station Varna to the railway station Beloslav and then walk / bike to “South groups"- one of the main rock clusters of the “Stone Forest”. - by car: First, you drive on the road Vladislav Varnenchik towards the exit of the city (but not the one towards the highway or the airport) that is at the roundabout. Driving straight ahead you pass by the village of Topola and the factory Devnia plast. 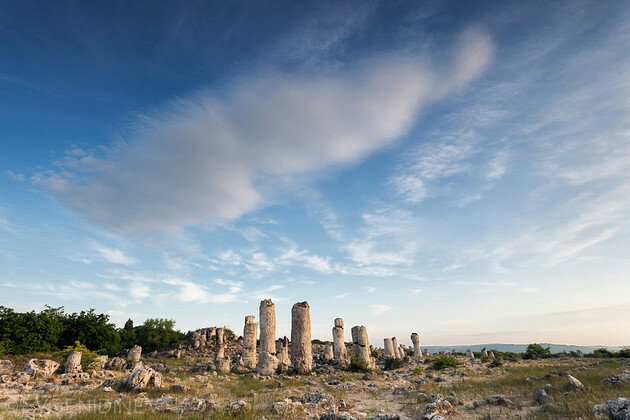 After only 15 minutes driving and when you must be out of Varna, then you will see a sign “Stone Forest”. This landmark is on the road itself, you just need to turn off it and start your walk. - by organized bus services: It is a popular place for the local tour operators as tour “Stone Forest”. Service is provided by hotels and tourist information centers in Varna, as well as in Albena, St. Constantine and Elena, Golden Sands.